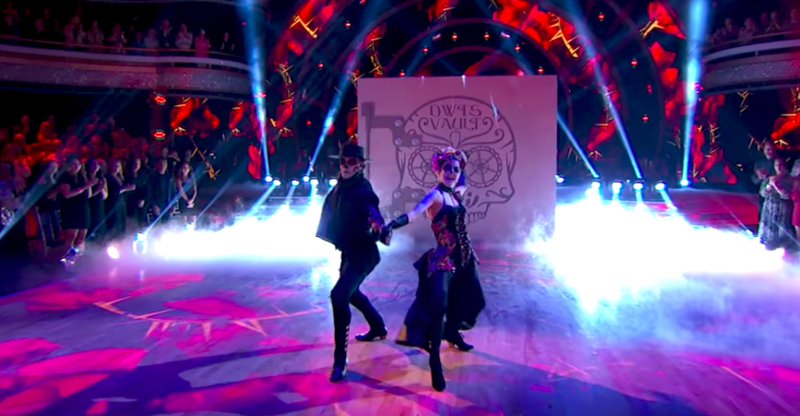 Dancing with the Stars contestant Lindsey Stirling was afraid that her rib injury would force her to forfeit the competition, but she pushed through the pain long enough to get through her performance with Mark Ballas and even a second dance performance with three other front-running couples. After her pasodoble dance with Mark Ballas, host Tom Bergeron asked, “On the night when you’re already in pain, you’ve got a team dance coming up. Are you up for it?” Lindsey nods and says she is. Lindsey credits her success to someone other than herself, however. Thank you for everyone who prayed for me. I felt those prayers pull me through this painful performance. Stirling knows it’s a miracle she’s able to continue. And we’re so glad because all of her performances have been incredible. The fans are hoping she’s able to heal before next week’s show. Vote for your favorite star on ABC.com! Lindsey Stirling and Mark Ballas Score 40/40 On DWTS Lindsey Stirling and Mark Ballas Score 24/30 on DWTS Lindsey Stirling Addresses Weight Loss from Dancing with the Stars Which Mark-and-Lindsey dance are you? Lindsey Stirling Is Creating her Own Comic Book?